I had a wee bit of yarn leftover from my cowl project, and wanting to use up every bit of this precious fiber, discovered I had just enough for some fingerless baby mittens. I really like this pattern, which is very easy and very fast! I made mine a bit shorter and on larger needles, and also knit them on straight needles instead of in-the-round (which I haven't quite yet learned how to do). 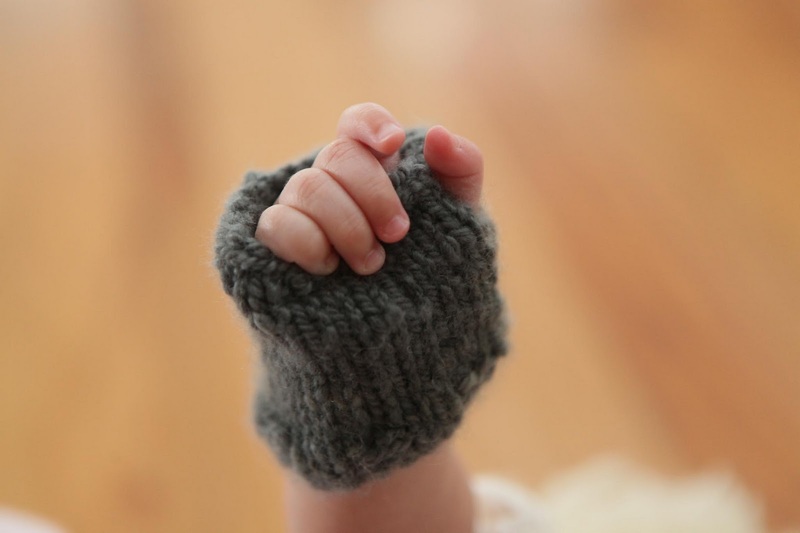 I love how they provide warmth for little hands, while also allowing for the bountiful grabbing, thumb sucking, and finger chewing that's going on these days. They're a tad big, so she has room to grow. 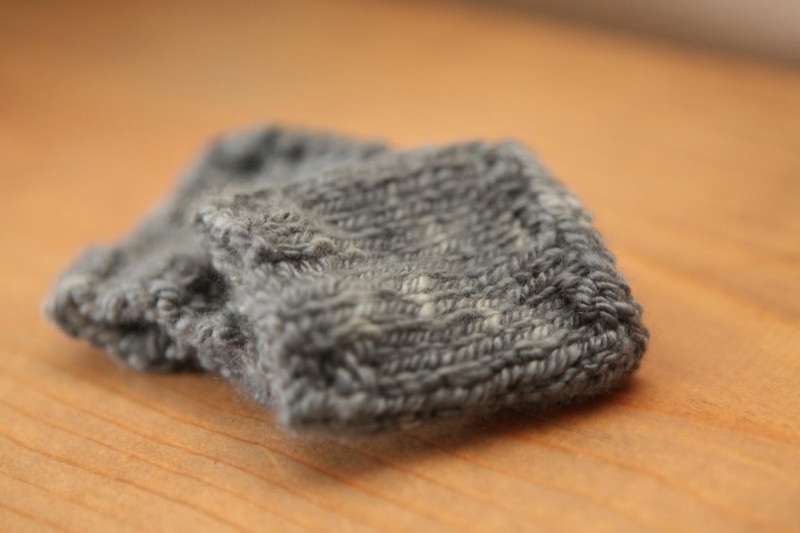 I'm thinking a useful modification to the pattern would be to start with a smaller size needle for the wrist ribbing, to help the mittens stay on a little better. They sometimes fall off, but she tends to keep them on, especially when she's holding something, or admiring her sweet hands with great fascination (there's a lot of that going on from baby and from mama these days, too). Ack! 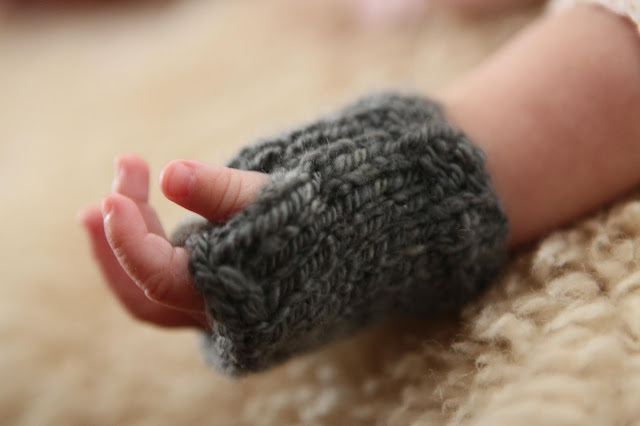 I can't stand the cuteness of tiny baby fingers in tiny fingerless mittens! Now, during farm chores, we're both very warm and very fancy. How cute! Very stylish baby! That is just the most beautiful thing Jaime!What a lucky bubba to have such a clever mama!those photos are gorgeous! Oh my goodness!!! 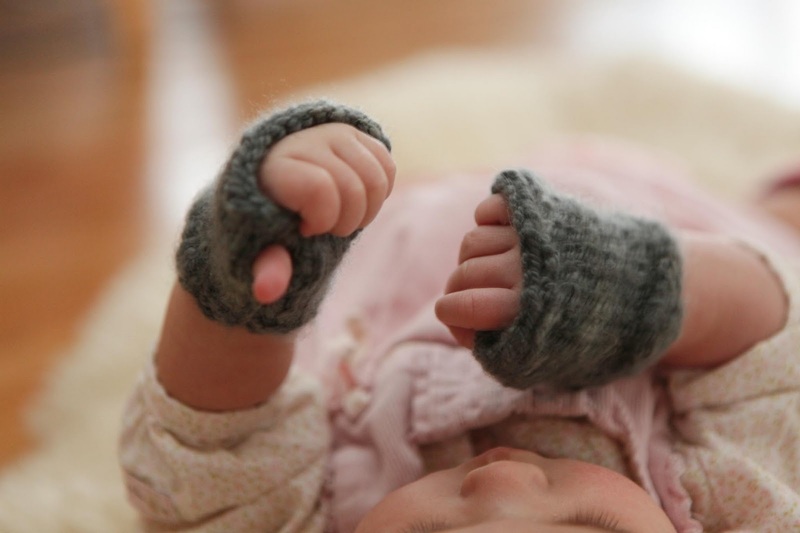 Those are the cutest fingerless mittens AND fingers I think I've ever seen!!! Heavens, could they look more precious on her wee little hands?! Can I tell you how much I love practical creativity? The cooking, the knitting, answering needs with your own abilities. You are inspiring, Jaime! That's wonderful! Are you completely hooked on it now? :) Learning to knit (I did so by watching YouTube videos of all places) was one of the best things I ever did. Happy knitting to you! Well! 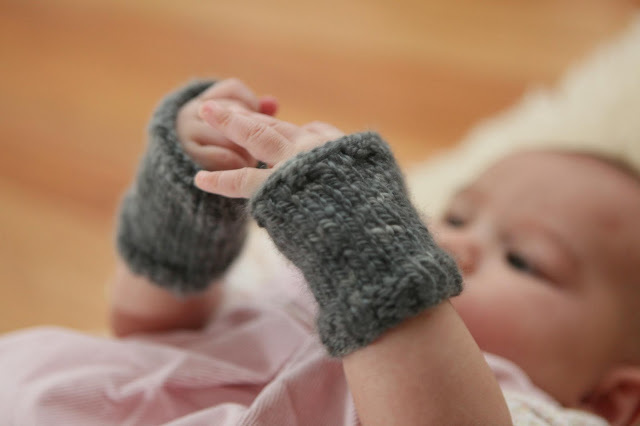 Whoever would have thought of fingerless gloves for babies? What a great idea! I'll have to try it for Corrine! i too can't stand the cuteness... of her fingers and her eyes taking it all in... learning what these things are on her hands, the feel, the weight, the color, the texture!! so sweet! 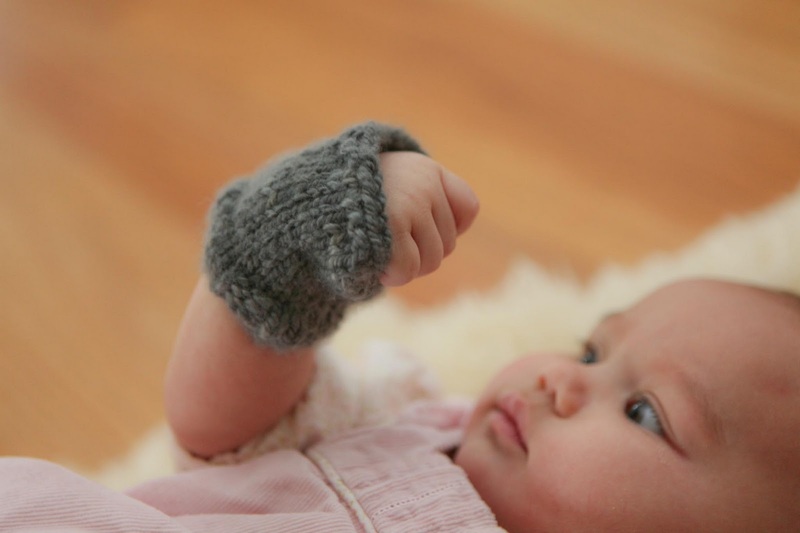 Those fingerless mittens are too, too cute and, of course, the hand model is too precious for words! She seems to be really enjoying them! These are too cute and they look just adorable on your little one. they are totally adorable. i love them! oh my lord, those are adorable on her! I don't know what else to say except: Awwwwww! I absolutely squealed when I saw this. If my uterus wasn't yearning before, it is now! Ridiculously cute. Too much!! How do you keep from gobbling up those chubby fingers?! Oh my goodness sakes, these are fantastic!